By fall 1917, most Bolsheviks (Communists) wanted “All power to the Soviets.” They wanted to overthrow the bosses’ Provisional Government and replace it with a government of soviets, councils representing workers, soldiers, sailors and peasants. When the second Congress of Soviets met late in October, it should become that revolutionary government. The Communists had a lot of delegates in the soviets, especially in Moscow and Petrograd. But other parties there – some socialist — supported the imperialist war and wanted coalitions with capitalists. These policies made them traitors to the working class. How could such a Congress of Soviets end the war, feed the masses and help the peasants seize the land? In the factories, the barracks and the working-class districts of major cities, local communist committees had mass support. Armed Red Guards from the factories, with red soldiers and sailors, had defeated the fascist Kornilov only weeks earlier. Some “moderate” Bolshevik leaders disagreed. They wanted a broad socialist alliance, including traitors like the Mensheviks. Other communists, like the Petrograd party committee, heatedly debated whether a Communist government could maintain vital food and industrial production. They saw that communist-led workers could take power. But could they hold onto power? Could they organize the new society? The Provisional Government was well aware of its sharpening contradiction with the workers and soldiers. 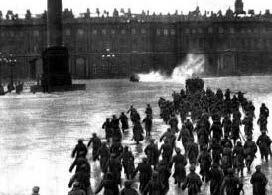 It announced suddenly that it was transferring the Petrograd garrison troops to the front. Masses of soldiers were enraged. Many saw it as an attempt to prevent insurrection. They refused to leave the capital. They demanded the transfer of power to the soviets. The Petrograd Soviet responded on October 9th by organizing a Military Revolutionary Committee. At a Bolshevik Central Committee meeting the next night, Lenin argued for an immediate insurrection. Delay was dangerous. The communists had mass support and the Provisional Government knew it. They might even let the German imperialists take Petrograd to keep it out of the workers’ hands. But communist revolution in Russia could spark revolution in Europe. 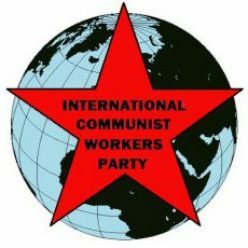 A communist Military-Revolutionary Center was formed. It joined with the Petersburg Soviet’s Military Revolutionary Committee and heard reports from the military units. Were they ready for revolution? 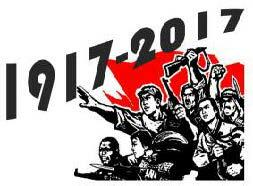 By October 21-22, the Military Revolutionary Committee had effectively taken over the leadership of the garrison. It began appointing new commissars to take charge of Petrograd. The revolution had begun. Sunday, October 22 was “Petrograd Soviet Day.” At mass rallies in Petrograd’s factories, halls and streets, Bolsheviks advocated revolution. To thunderous applause, they promised peace, land to the peasants, and the confiscation of private property to distribute grain, bread, clothing and shoes to all who needed them. The next day, the Military Revolutionary Committee called a mass meeting on the main square of the strategically key Peter and Paul fortress. After the soldiers debated for hours, an overwhelming majority voted for transfer of power to the Soviets. They pledged to obey the Military Revolutionary Committee. Kerensky’s Provisional Government tried to reassert its control. But most troops – like the sailors of the battleship Aurora – no longer obeyed its orders. Workers affirmed their support for the revolution at mass meetings. The insurrection was unfolding. Even then, some on the Military Revolutionary Committee sought a “compromise.” Lenin called on district-level Bolshevik organizations to give the deathblow to the tottering Government. The masses responded. By dawn on the 25th, the revolutionary Baltic and Kronstadt fleets were sailing to Petrograd. The Winter Palace was taken. Members of the Kerensky government fled or were arrested. Now the Bolsheviks had to figure these things out fast – amidst a growing counter-revolution. They held onto power – but they got a lot of it wrong. We’ve learned from them. Our line today of “mobilizing the masses for communism” will prepare us much, much better for the future. Learn from the Bolshevik Revolution in Russia!